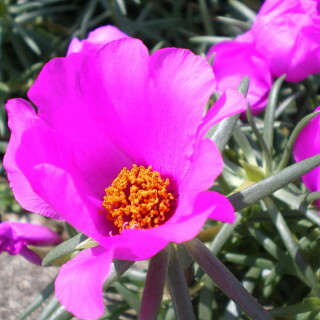 Moss-rose Purslane blooms brilliant flower with frilled petals. The leaves are thick and fleshy. The colors are magenta and white. 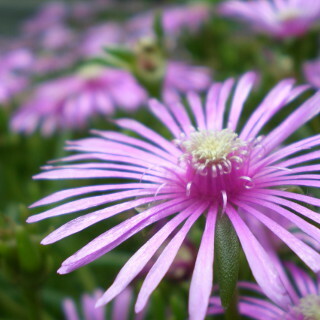 It is called Matsuba Botan in Japanese.